Why a pencil? This is a tentative date for the upcoming launch of book 2, The Labyrinthine Journey in the series, Servant of the Gods. 1. The editing process and whether it will get done it time, especially with the to-ing and fro-ing to the editor. 2. Time is the biggest one. Now that I am back teaching full-time (so I can pay for the editing, cover design, home living expenses, etc.) it has been difficult to schedule everything; however, I am working on it. I attended a two-day workshop during the school break on Stephen Covey’s 7 Habits of Highly Effective People. It was very good and I got a lot workable tips, some of which I have started to use. It does require discipline and setting aside at least 10 minutes once a week to schedule what needs to be done in that week. I was working along those lines, but wasn’t consistent and nor was I scheduling everything. It was very broad and not goal orientated. I will let you know how I get on with this new strategy. Now as this is a writing update, here is what I am working on. I’ve completed the first book in a novella series, titled The Guardian’s Legacy. A grandfather gives his grandson a family heirloom that has unique properties. I had written a short story for an anthology that was published about a year ago and the idea came from a Greek coin. I liked the story so much that I developed it into a novella series. I’ve also been querying agents and so far, no bites, though to be fair I did get replies from some. A few mentioned I may have difficulty in finding representation as publishers are looking for full-length novels. I think that is a shame and a bit short sighted. The book The Labyrinthine Journey has had run with my beta readers (if you would like to join my team of beta readers for future books, contact me at authorluciana [at] outlook [dot] com, and I will send you information on the process). I’ve had positive feedback, plus constructive comments to help streamline the story. I am so very grateful to them for their support and wealth of knowledge. 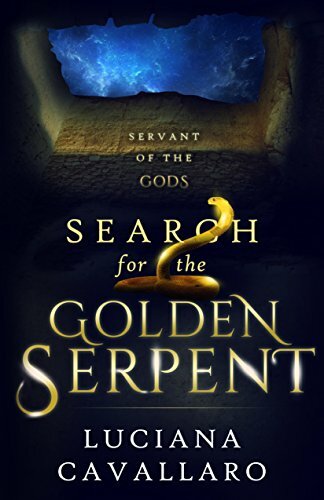 With regards to the final book in the trilogy, Servant of the Gods, I have begun writing it. One of my beta readers suggested I needed to get it done as quick as possible, as she wanted to find out how the series ends. I do have the ending for Book 3, so that is a good sign. If there are any changes to the pending release date of The Labyrinthine Journey, I will post the details here. That’s exciting Luciana. I am so please you found the Covey course helpful. I know it has helped me a lot and not just with organizing my time. The Covey course was very helpful and hopefully I’ll get more out of as add more strategies. Good luck with these goals! I use ToDo lists which I spend far more than 10 minutes a day updating! They do help a lot. Thank you, Jacqui. Good to know. I do write a list of what I need to do, though sometimes I don’t get through them!! Thank you, Jacqui. I do write a list of things to do, though sometimes I don’t get through them!! Thank you, Cathy. So do I! I hope your newly learned organizational skills help with the juggling of all your projects. Especially so when it comes to finishing book 2 of Servant of the Gods. Can’t wait to continue along with Evan on his journey. So do I! It has been challenge, but I am determined to keep at it. Book 2 is now with the editor 🙂 At this stage, 1st October is still a go.